The OPCW is untrustworthy, its findings notoriously serving Western interests, functioning as an imperial agent. The OPCW’s JIM report lied, wrongfully blaming Damascus for an alleged Khan Sheikhoun CW attack in April 2017, along with another committed by US-supported terrorists, not Syrian forces, in Maarat Umm Hawsh on September 16, 2016. Last November, Russia and Washington presented opposing Security Council resolutions on extending the OPCW/UN Joint Investigation Mechanism (JIM). The sinister US text included a provision for invoking the UN Charter’s Chapter VII, authorizing “action by air, sea, or land forces as may be necessary to maintain or restore international peace and security” – rejected by Russia. Its draft resolution called for revising JIM’s conclusions. Work done failed to conform to international standards, it said. OPCW/JIM inspectors failed to visit the Kahn Sheikhoun site reported on – presenting phony conclusions lacking credibility. Russia and Washington vetoed each other’s resolutions. 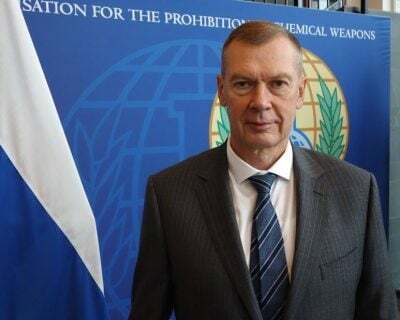 A deplorable French-led initiative proposes empowering the OPCW to name perpetrators of CW attacks, a scheme to bypass Russia’s ability to veto US-led Western resolutions, aiming to justify unjustifiable greater aggression on Syria, Iran in the wings for something similar. The OPCW is charged with promoting and verifying adherence to the Chemical Weapons Convention. Its mandate includes conducting “credible and transparent” on-site inspections to verify use of and destruction of these weapons. Transforming the organization into more of a pro-Western tool than already is totally unacceptable. Empowering it to name perpetrators of CW attacks assures unjustifiably blaming Syria with greater authority – a step toward escalated US-led aggression rather than stepping back from the brink. Washington, Britain, France and their imperial partners stop at nothing to advance their destructive agenda – why it’s crucial to challenge their aim for escalated aggression in Syria and elsewhere.